A reader’s perspective of music written for us. I’m all about my senses. There are some smells that are just absolutely amazing in the memories and thoughts that flood back into my mind when I smell them. I think most people get at least a little bit of that when they smell a summer rain on hot cement or wet leaves in fall. Recently I found orange blossoms! One of the only redeeming things of living in the Central Valley of California was having citrus trees abundant and in the Spring when those blossoms pop out- heaven! It smells amazing! And touch. I’m one of those weirdos who walks through sporting-goods stores so I can run my hands over all the jackets. Especially those softshell style fleece ones that are so silky soft! Or touching Kim’s forearm. She has to have the softest skin ever and the forearm is where I first noticed it. Or puppies and kittens! They have such soft fur!! Sound is the same way. Walking along the ocean is a mix of all of the senses- the smell of the ocean air the feel of the stickiness from the ocean spray and the sound of the waves pounding the shore. At least on the West Coast it pounds the shore- the East Coast it just sort of gently laps at the shore. (I’m just being a California snob so don’t take this seriously!) But sounds are pretty potent as well. I’m kind of aging myself here but how many of you have a flash back to the 80’s when you hear Joan Jett singing I Love Rock ‘n’ Roll complete with all the (red) leather jumpsuits, interesting hair styles and men with lots of eye make-up? Music is pretty awesome that way. It creates a memory for a place and time that is re-visited every time you hear it. Dancing around my living room as a kid to Fleetwood Mac Rumors, driving across country blasting the Indigo Girls in my car, and, yes, The Pussycat Dolls Stickwitu is everything Kim. Goofy, and I would say a little eclectic in its mix of artists and eras but I just can’t help it. They make me flash to a time, a place, and usually a person. That’s why I think it is so cool when our lesfic authors post a play list they used when creating their novels. The characters they see in their minds are associated with those songs. Or pivotal scenes have almost a theme music to go along with them! It’s just neat! It’s like they are expressing two distinctly different artistic talents. I mean I just wish I had some musical skill! About ten years ago I bought a guitar that I was going to learn to play with my nephew. I so wanted to be able to pick that guitar up and be able to jam on it. But no, apparently one must practice (a lot) in order to play a musical instrument! So these authors who can create a novel and conduct it to music- that’s a talent in itself. Music seems to be everywhere though and I think our lives would be a lot less exciting without this artistic gift. So what is an excellent gift you ask? 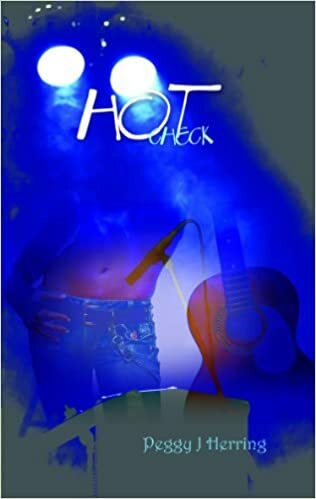 How about an amazing lesfic novel that combines the world of music with our lesbian community! Peggy J. Herring did it with Hot Check where up and coming rock star Ricky Conrad falls for a local restaurant owner Alice Collins. 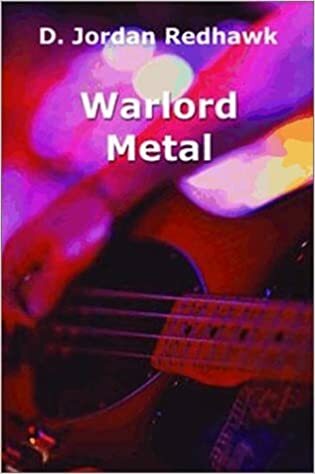 Or the not so pretty side of band life in D Jordan Redhawk’s Warlord Metal where Sonny Middlestead balances the life hardened guitarist Torrin Smith. 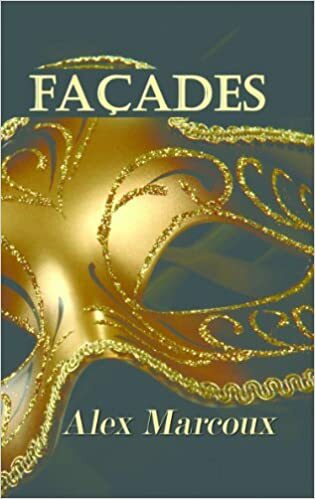 In Alex Marcoux’s Facades I remember feeling guilty for even looking at the gossip magazines while standing in line to pay for groceries because they seem to be so personal about someone’s life. Someone who puts themselves out there on the big screen, or on stage or some other manner that makes them famous. I wanted Anastasia to just be able to be who she was dangit! And a lot of classical music actually sends me spiraling back to my childhood so when Karis Walsh’s string quartet was performing in Harmony I was right there hearing the sounds along with Brooke Stanton at her wedding rehearsal. How awkward was that for violist Andrea Taylor?! Or how about the sounds created by Manon, Eryn, Vivian and Mike in Gun Brooke’s Coffee Sonata? I think I would buy a recording of that! What songs make you reflect on a time, place or person? Isn’t it fun to think that one of your songs could lead me to a whole different memory when I listen to it? Same with stories, I could have a completely different musical experience when reading one of our amazing lesfic stories than you. So what lesfic stories have sunk you into the music world? And do they have more of a sensual impact because of it? Thanks, Erin, for bringing this up. Cuz I LUUUUUUUUV me some music. The genres of music vary with the genre in which I’m writing. Spec fic, for example, requires a different type of music than the romance and mysteries I write, and that’s reflected in the playlists. All that said, writers have to be very careful if they’re writing a narrative that includes actual songs because of potential copyright violations with regard to using lyrics and titles. Even one line of a lyric used in a work of fiction can set a writer up for a copyright violation complaint, so we have to be careful when integrating known music into our work. Using song titles in dialogue is usually okay, but if you try to include a song title in your own title, you’re setting yourself up for a possible letter from an attorney regarding copyright violation. I checked with an attorney regarding my novella From the Boots Up and my novel From the Hat Down and I actually did try to get permission to use a few lyrics from a couple of particular songs in Boots, but was denied by the artists’ representatives, so I had to re-write the scenes. I was disappointed, but glad that I’d gone through the permissions process for music to see how it worked. ANYHOO, in terms of music, it absolutely is a trigger for memories. The soundtrack to my formative years is 80s synth-pop and British new wave, which I played quite a bit of when I was writing my YA story “The Falcone Maltese,” that appeared in Lori Lake/Jessie Chandler’s edited crime anthology Lesbians on the Loose. I set the story around 1984, and yes, I drew heavily on my memories of being in high school then (DON’T JUDGE, YOUNGSTERS) and played tons of 80s-era music to put me in the mood. It worked and I had a great time playing around in my past. I love how music triggers different things for different people, as you note. A song that means one thing to me has a very different meaning for someone else, which is really cool. At any rate, thanks again for hanging with us at Women and Words and sharing your thoughts. Andi you are so awesome! I love your thoughts, advice, and explanations. Thank you for that. And I’m with you in those 80’s!! This is a great list. You’ve given me a couple of titles to look for, and I have one to add. Carole Wolf’s “everything” brings us both classical and rock in an emotional struggle between two worlds. I love when author’s post their play lists. I’m totally bummed that I can’t access those I saved on Spotify, now that I’m in New Zealand. CK thanks for reading! I haven’t read Carole Wolf’s “everything” yet so that will be added to my wish list for sure! 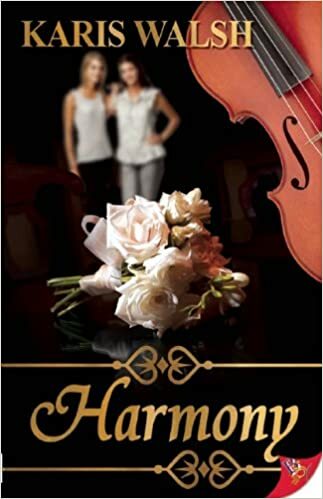 I loved Coffee Sonata and enjoy lesfic novels with musicians and their music central to the story. Thanks for giving me some titles to check out. Here are a couple of books I enjoyed to add to the list. The Song in My Heart by Tracy Richardson has damaged rock star Dess Hampton mentoring and falling in love with rising star Erika Alvarez. In a similar vein with an established reclusive star helping to create another music legend is Julie Blair’s Making a Comeback. Jazz pianist Liz Randall ups her game thanks to the mysterious Jac Winters. Several jazz legends and their work are mentioned in this sweet romance. I haven’t read either of those canucken! Thanks for reading and for the suggestions!! Yeah, “Making a Comeback” may be my favorite ‘music-industry/themed’ book. Well, and “Harmony”–my all-time favorite Karis Walsh book, still. I don’t really think of songs when I’m reading, though I think authors/books have a ‘musical’ rhythm to their writing style. Some just resonate with me, have a good rhythm, you know? A totally 80’s-bring-me-back-to-junior-and senior-high-school is Queen’s “Another One Bites the Dust” —always reminds me of the roller-skating days of my youth. Ahhh, the 80’s …. Double vote for “Making a Comeback”! I’ll definitely have to check it out now!